7:30 p.m. The short story author read her work, followed by a concert of traditional Irish music by Narrowbacks and stepdancing as part of the 32nd annual Evening of Irish Music and Poetry, Jim Rouse Theatre. 2:30 p.m. The first Blackbird Poetry Festival memorialized Lucille Clifton, who had died February 2010. HoCoPoLitSo provided books as student prizes, Rouse Company Student Services Building. 4 p.m. Maryland Poet Laureate hosted a “My Favorite Poem” high tea, with community leaders such as County Executive Ken Ulman and HCC president Kathleen Hetherington and students reading poems they love, followed by a reading from Plumly. Preceded by an appreciation for HoCoPoLitSo founder Ellen Conroy Kennedy. Co-sponsored by the Columbia Festival of the Arts. 7 p.m. The South African-born author reading from her novel Becoming Jane Eyre, Rouse Company Foundation Student Services Building, Howard Community College, as part of the Columbia Festival of the Arts. As part of the county school system’s Professional Development Day, poet Thompson discussed writing and rewriting in the classroom. 7:30 p.m. Author of Outcasts United read from and discussed his book at the East Columbia Library as part of the One Maryland, One Book project. Co-sponsored with the Howard County Library and Maryland Humanities Council. 7:30 p.m. National Book Award-winning poet read from his work, followed by a reception, Monteabaro Recital Hall, Howard Community College. Writer and poet Winik served as writer-in-residence for eleven of the county high schools, the Homewood Center and Howard Community College. 7:30 p.m. The novelist, playwright and critic read from his short stories and novels, followed by a concert by Narrowbacks, at the 33rd Annual Evening of Irish Music and Poetry, Jim Rouse Theatre. 4 p.m. The National Book Award-winning novelist read a short story and from her novel Charming Billy, and answered questions at the Spear Center, Rouse Company Headquarters, Columbia. 10 a.m. A troupe of actors from the Folger Shakespeare Library performed scenes for middle school students at Marriotts Ridge High School. 2:30 and 7:30 p.m. The poets read and held workshops for students during the day. The evening reading featured the activist poet Espada, reading from his work to “celebrate poetry as a global language” as part of the third annual Blackbird Poetry Festival, Monteabaro Recital Hall, Howard Community College. As poet-in-residence to the Howard County schools, Beasley visited students in ten of the county’s high schools, Homewood Center and Howard Community College. 7 p.m. The poet and Cave Canem fellow hosted a poetry master class, “Minding the Stops/Minding the Line,” Monteabaro Recital Hall, Howard Community College. In cooperation with the English/World Languages Division. 7:30 p.m. National Book Award-winner Hayes and emerging poet Betts reading their work and discussing poetry with each other and the audience in “The Promise of Poetry,” Monteabaro Recital Hall, Howard Community College. 7:30 p.m. The memoirist and novelist read from his works at the 34th Annual Evening of Irish Music and Poetry, preceded by harpist Jared Denhard, followed by a concert from the Narrowbacks, Smith Theatre, Howard Community College. As part of the county school system’s Professional Development Day, poet Ayala held a workshop for English and language arts teachers. 10 a.m. and 2:30 and 7:30 p.m. In cooperation with Howard Community College, the Blackbird Poetry Festival’s “Poetry in Harmony” featured poets Cirelli, Addonizio and Ayala in readings and workshops. The evening, Nightbird, reading gave Cirelli and Addonizio the stage in the Kittleman Room at Howard Community College, which was followed by a performance by musical duo Mother Ruckus. 7:30 p.m. The National Book Critics Circle Award winner and short story author read from her collection Binocular Vision before a sold-out audience at Historic Oakland as part of the Columbia Festival of the Arts. Poet-in-residence visited 595 students in the county’s high schools and the Homewood Center. 2 p.m. Seaver, widow of Richard Seaver, editor and founder of Globe Press, discussed his memoir, which she edited, entitled Tender Hour of Twilight: Paris in the 50s, New York in the 60s: A Memoir of Publishing’s Golden Age with Dirda, Washington Post book critic, in honor of Banned Books Week. 2 and 7 p.m. Fallon read from and discussed her short story collection, You Know When the Men are Gone, in the afternoon at Smith Theatre, then read at the Miller Library in the evening. 7:30 p.m. The 2012 PEN/Voelcker Award-winner and Cave Canem founder read and sang her poetry in Monteabaro Recital Hall, Howard Community College. 10 a.m. A troupe of actors from the Folger Shakespeare Library performed scenes from Shakespeare’s plays for middle school students, Marriotts Ridge High School. 7:30 p.m. The National Book Award-winning novelist read for the first time in public from his then-forthcoming novel, TransAtlantic, as part of the 35th Annual Evening of Irish Music and Poetry. A concert of traditional Irish music followed, with Narrowbacks and stepdancers from the Culkin School, and an impromptu musical appearance by Gov. Martin O’Malley. Smith Theatre. 11 a.m., 2:30 and 7:30 p.m. As part of the fourth annual Blackbird Poetry Festival, Rives and Griffiths led students in workshops in the morning. Rives read his work with students interacting with him in the afternoon in the lounge, HCC. Then Rives and Griffiths read their work at Nightbird, the evening reading, followed by a coffeehouse concert by the musical duo Rocket Sled, Kittleman Room. 7:30 p.m. In a program called “The Sound and Fury of New Orleans,” poet Smith read and recited her poetry about Hurricane Katrina from her book Blood Dazzler, while the string quartet accompanied her with Wynton Marsalis’ At the Octoroon Balls. Presented in Monteabaro Recital Hall as part of the Columbia Festival of the Arts. 10:30 a.m. to 3 p.m. Former Maryland Poet Laureate Glaser headlined a series of events, “Telling Our Stories.” He taught a poetry workshop inspired by Lucille Clifton and her work to English and language arts teachers. And at 7:30 p.m., several of those teachers read their poetry. Glaser read his own poetry, as well as some poems by Clifton. The evening reading was co-presented by the Columbia chapter of Delta Sigma Theta Sorority. 10 a.m. A troupe of actors from the Folger Shakespeare Library performed scenes from the comedies and tragedies for middle school students bused to Marriotts Ridge High School. 2 p.m. Music writer Isacoff played piano and spoke about his book Temperament: How Music Became a Battleground for the Great Minds of Western Civilization. A discussion followed, led by Washington Post classical music critic Anne Midgette. Co-sponsored with the Candlelight Concert Society, Smith Theatre, Howard Community College. 8 p.m. The pair of poets read their work and memorialized the late Seamus Heaney at the 36th Annual Evening of Irish Music and Poetry, followed by a concert by Narrowbacks, preceded by harpist Jared Denhard, Smith Theatre. 2:30 and 7:30 p.m. The former National Poet Laureate read his work with students in the afternoon, and solo in the evening, Smith Theatre. 7:30 p.m. In celebration of HoCoPoLitSo’s 40th year, former National Poet Laureate Rita Dove read from her acclaimed most-recent book of poems, Sonata Mulattica, about historical Afro-European violinist George Bridgetower. Violin virutuoso Joshua Coyne will played original music inspired by literature. Coyne’s story as a young African-American classical musician is juxtaposed with Bridgetower’s in the upcoming documentary film Sonata Mulattica, which also features Dove. Extended scenes from the film premiered at the event, followed by a discussion with Dove, Coyne, and the film’s creators. Monteabaro Recital Hall, Howard Community College. 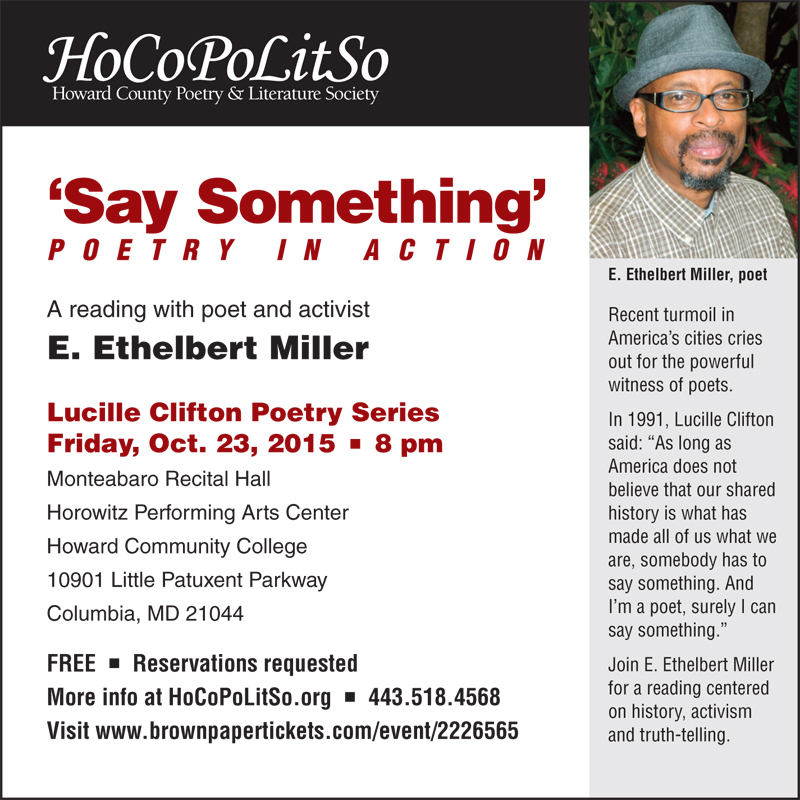 January 23, 2015 E. Ethelbert Miller and HoCoPoLitSo Celebrate 40 years with the launch of 20 Years, 20 Poets,Vol. 2. 6 p.m. HoCoPoLitSo launched its poetry anthology, Twenty Years, Twenty Poets, Volume II, in honor of its 40th anniversary, at a reception the Howard County Center for the Arts. The launch was held in conjunction with the Howard County Arts Council and Howard County Tourism opening of two exhibits, Ho Co Open 2015 and Poetic Energetic. The reception featured E. Ethelbert Miller reading from the anthology. Howard County Center for the Arts. 4pm Recipient of a MacArthur Foundation genius grant, Dinaw Mengestu’s read from his work. There was a post-reading talk-back and book signing. Presented in partnership with the Columbia Festival of the Arts. 11am – 12:20 Morningbird Reading: Featuring writer, activist, and former special educator Chris August, 2011 Individual World Poetry Slam champion, and teacher, poet, and fiction writer Steve Mandes. 2:30 – 4:30pm Sunbird Reading with Taylor Mali and others. Students, faculty and staff joined the renowned Taylor Mali on the stage of Smith Theater for the traditional afternoon Blackbird Poetry Festival reading. 7:00 – 8:30pm The Nightbird Reading – Taylor Mali. The Nightbird Reading showcased the festival’s featured reader, Taylor Mali, one of the most well-known poets to have emerged from the poetry slam movement and one of the few people in the world to have no job other than that of poet. 8pm A unique one-night only special presentation of Dominique Morisseau’s Sunset Baby, engaging and connecting Howard County and Baltimore audiences, The program, presented in partnership with the Howard County Poetry and Literature Society (HoCoPoLitSo), Rep Stage and Center Stage, was made possible by an Outreach Grant from the Howard County Arts Council through Howard County government. After the performance of the play, a panel discussion and audience talk back was held. 7 pm Poems in Spanish, Korean, American Sign Language, Italian, Polish, and Bulgarian were performed in the readers’ native language and then in English. This free event was part of the June Columbia Festival of the Arts. Readers young and old from around the world will perfromed their own work, or the work of poets famous in their native languages. Bulgarian poet and journalist Lyubomir Nikolov will be the master of ceremonies. Studio Theatre in the Horowitz Performing Arts Center, Howard Community College. 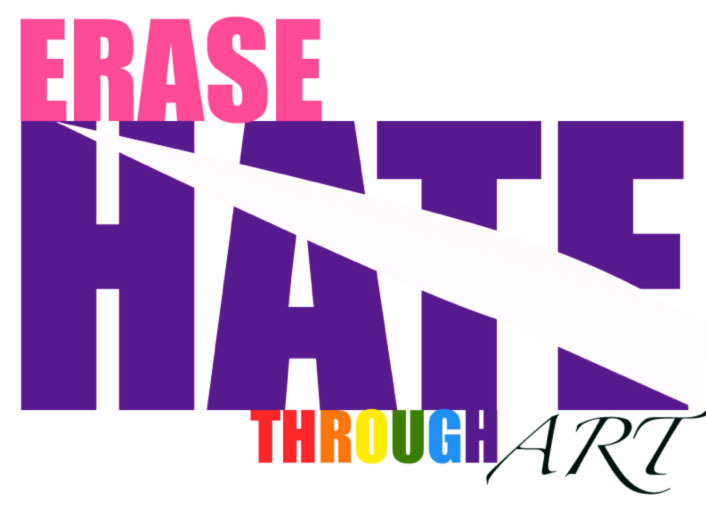 In partnership with HCC’s Arts Collective and the What Improv Group ?!?!? and the campus’s Creative Writers. 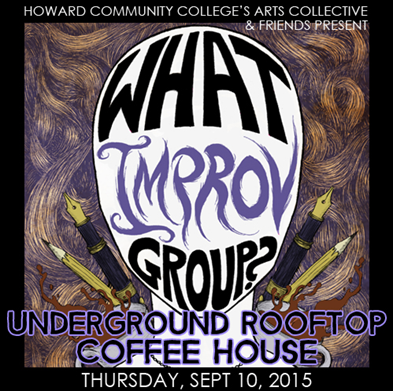 Please join us for an Underground Rooftop Coffee House, an event fuses W.I.G.’s underground, edgy take on improv with powerful and evocative stories inspired by poets and writers. W.I.G.’s cast features HCC students, staff and guest artists: Douglas Beatty, Noah Bird, Diego Esmolo, Doug Goodin, Daniel Johnston, Autumn Kramer, Terri Laurino, Scott Lichtor, Thomas Matera, Apryl Motley, Shannon Willing, Sierra Young… and a few secret-surprise guests! This event will also feature poetry and prose written by HoCoPoLitSo’s Nsikan Akpan and Katy Day and local Stoop star James Karantonis. You can’t have a coffee house without music, right? Chris Sisson and Steven Caballero will provide an acoustical array of songs for the evening. Tickets: Includes Coffee & Treats! Parental guidance suggested. No one under 14 admitted. Seating is limited, reserve tickets now! A gallery reception and reading with musical performances hosted by Ashlee Jozet Adam and Regina Jozet Adams. Musical performances by Terrell Brown, Laura Farrell, The Mosaic Harmony Gospel Choir, and debuting the music of Ben Harrell. Live Poetry presented in association with the Howard County Poetry and Literature Society. In Partnership with Little Patuxent Review and the Howard County Library a reading by poets Michael Salcman, M.D., Fred Foote, M.D., Ann Bracken, and and short story writer Jen Grow. Join HoCoPoLitSo for a coffeehouse afternoon of poetry and music, with a bit of Zydeco as a warm-up for Mardi Gras. Steven Leyva, author of Low Parish and a lecturer at University of Baltimore, reads his work centered around the tuneful town of New Orleans, his hometown, as well as from Willie Perdomo’s The Essential Hits of Shorty Bon Bon. Josh Soto, a drummer and educator, will play congas and jazz drum set with Levya’s reading. In Créole the word Zydeco could translate to “Green Beans,” but colloquially a better approximation would be “Beans with no salt,” which is a sly way of expressing hard times. The reciprocal movement between lack and plenty, famine and feast, often inspires innovation in literature and music, making the borders of genres porous. Using improvisation, audience participation, and bit of luck, Leyva and Soto seek to carve out a space in the ear and imagination where hard times breed a new music for the heart, and percussion becomes the poet’s blank page. The 38th Annual Irish Evening featuring Eamon Grennan. Esteemed Irish poet Eamon Grennan will from his work for HoCoPoLItSo’s 38th Annual Irish Evening. The reading will be followed by music from the Narrowbacks, featuring Eileen Korn Estes, Jesse Winch, Terence Winch, Linda Hickman, and Brendan Mulvihill in a concert of traditional Irish music with stepdancers from the Culkin School. Grennan has published over twenty books of verse, along with translations and a collection of essays about modern Irish poetry. Hie most recent is There Now was released in July 2015. His works have won the PEN Award for Poetry in Translation for Leopardi: Selected Poems (1997), the Lenore Marshall Poetry Prize from the Academy of American Poets for Still Life with Waterfall (2002),and Pushcart Prizes. His collection Out of Breath (2007) was nominated for the 2008 Poetry Now Award and he was a finalist for both the LA Times Book Prize for What Light There Is and Other Poems (1989) and So It Goes (1995) for the Paterson Poetry Prize. Mark your calendars and stay tuned for details, the 6th annual Blackbird Poetry Festival will bring Marie Howe to the campus of Howard Community College for a day of poetry on April 28th. 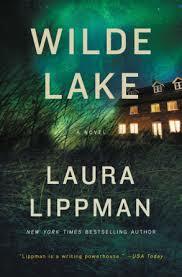 Renowned author Laura Lippman reads from and discusses her latest novel, Wilde Lake at Slayton House in Columbia’s village of Wilde Lake. This event is sponsored by the Wilde Lake Village association and HoCoPoLitSo. This event is FREE but registration is required. Register through Eventbrite here. Nadia Hashimi, a pediatrician of Afghan descent, will read from her latest novel, which has its roots in today’s refugee crisis. When the Moon is Low tells the story of a single mother’s terrifying odyssey to escape the Taliban in war-torn Afghanistan and seek asylum in the West. With forged papers, the family faces dangerous border crossings, exhaustion and hunger in their effort to reach safety. Hashimi’s parents left Afghanistan in the early 1970s and settled in the United States to chase the American dream. Her debut novel, The Pearl That Broke Its Shell (Harper Collins, 2014) is an international bestseller and was a 2014 Goodreads finalist. Hashimi will also offer audiences a sneak peek at her new novel, coming out in August, about women in today’s Afghanistan imprisoned for breaking social rules. This co-production with the Columbia Festival of the Arts is part of the Silk Road Stories summer festival. Read Susan Thornton Hobby’s preview of this event here. HoCoPoLitSo presents An Unflinching Eye: Carolyn Forché and her Poetry of Witness for its annual Lucille Clifton Reading Series season opener. Carolyn Forché, human rights activist and renowned poet of witness, will read and discuss her writing starting at 4 p.m. Sunday, Oct. 30, in the Monteabaro Recital Hall of the Horowitz Center for Visual and Performing Arts. General admission tickets are on a pay-as-you-can basis — $10 or $5 each or free for students under the age of 18 — and are available on-line at http://www.brownpapertickets.com/event/2568971 or by sending a stamped, self-addressed envelope and check payable and mailed to HoCoPoLitSo, 10901 Little Patuxent Parkway, Horowitz Center 200, Columbia, MD 21044. HoCoPoLitSo’s guest for its 39th Annual Irish Evening is novelist Belinda McKeon. She will read from her work starting at 7:30 p.m., February 10, 2017, at the Smith Theatre, Horowitz Center for Visual and Performing Arts on the campus of Howard Community College. McKeon’s reading will be followed by the Narrowbacks in a concert of traditional Irish music with stepdancers from the Culkin School. The Narrowbacks are Eileen Korn Estes, Jesse Winch, Terence Winch, Linda Hickman, Dominick Murray, and introducing Michael Winch. The Narrowbacks will be performing music from their newly released CD This Day Too: Music from Irish America. Tickets will be on sale starting November 15 at http://www.brownpapertickets.com/event/2716229. HoCoPoLitSo’s guest for its ninth annual Blackbird Poetry Festival is award winning writer and slam poet Tyehimba Jess. The Blackbird Poetry Festival, to be held April 27, 2017, on the campus of Howard Community College, is a day devoted to verse, with student workshops, book sales, readings and patrols by the poetry police. The Sunbird poetry reading, featuring Mr. Jess, as well as Washington, D.C., writer and literary activist E. Ethelbert Miller and Howard Community College students, will start at 2:30 p.m. Mr. Jess will read from and discuss his most recent work, Olio, as well as leadbelly, winner of the 2004 National Poetry Series, during the Nightbird Poetry Reading, starting at 7:30 p.m. in the Smith Theatre of the Horowitz Center for Visual and Performing Arts. Nightbird admission tickets are $15 each (students and seniors are $10) available on-line at http://www.brownpapertickets.com/event/2551545 or by sending a self-addressed envelope and check payable to HoCoPoLitSo, 10901 Little Patuxent Parkway, Horowitz Center 200, Columbia, MD 21044. Tickets will be available at the door. HoCoPoLitSo’s Celebration of Columbia’s 50th Birthday brings back renowned authors and once upon a time Columbia residents John Gregory Brown and Carrie Brown. Presented in partnership with Wilde Lake Community Association. Ticket link: http://www.brownpapertickets.com/event/2725249. Wednesday, November 1, 2017 – 1:00 p.m. If you could connect with your beloved dead through technology, would you? Laurie Frankel’s novel, Goodbye for Now, is a love story with technology at its heart. Join us to hear Frankel read from her ground-breaking book at HoCoPoLitSo’s series celebrating ground-breaking poet and HoCoPoLitSo artistic advisor Lucille Clifton. Gather with a group of curious minds for this intriguing discussion. The New York Times said Frankel’s book, “extends the reach of technology just beyond our fingertips, where it feels possible.” This program is brought to you by the Howard County Book Connection; a partnership between Howard Community College, the Howard County Public Library System, and the Howard County Poetry & Literature Society (HoCoPoLitSo). A book signing will follow. Tickets not required. Seniors can request transportation by calling 410.715.3087. For other accommodations, call 443.518.4568 by October 16. This event is free. Click here to register and let us know you are coming. HoCoPoLitSo and Howard Community College’s World Languages will present and facilitate audience discussion on literature as a “global language,” with immense power to connect, inform, and enlighten us across cultures, geography, and time periods. HoCoPoLitSo members and HCC faculty and staff will read poems as originally written in languages from around the world, followed by an English translation. The event will include a series of brief clips from HoCoPoLitSo’s TV show The Writing Life in which writers discuss a variety of works, such as Israeli poems of war and peace, Japanese internment, Latin immigrants, African American history, and issues of translation. HoCoPoLitSo’s annual Irish celebration will feature a reading by award-winning writer Mike McCormack, new and traditional Irish music by Narrowbacks, and step dancing. McCormack’s newest novel, Solar Bones, is long-listed for the 2017 Man Booker Prize. The Guardian’s review of Solar Bones was subtitled, “an extraordinary hymn to small-town Ireland.” Scones, beer, cocktails, Irish coffee, book sales and signing round out the night. 7:30 p.m.
Area writers and artists collaborate on the theme of movement in this year’s Blossoms of Hope annual show at the Columbia Association Art Center. The reception in the gallery will feature readings from participating writers. Proceeds from Entry Fees and Sales benefit Blossoms of Hope, which supports the Claudia Mayer/Tina Broccolino Cancer Resource Center and other causes. Sponsored by Blossoms of Hope of Howard County, Columbia Art Center, Volunteer Center Serving Howard County, and HoCoPoLitSo. Award-winning poet and author Marilyn Chin headlines the tenth annual Blackbird Poetry Festival for HoCoPoLitSo. Born in Hong Kong and raised in Oregon, activist poet Chin unflinchingly explores the intersection of the Asian and American worlds. The Blackbird Poetry Festival is a day devoted to verse, with student workshops, book sales, readings, and patrols by the Poetry Police. 2:30 p.m. — The Sunbird Reading – Smith Theatre – featuring Ms. Chin, as well as Washington, D.C., poet and educator Joseph Ross, local authors, and Howard Community College faculty and students. 7:30 p.m. — The Nightbird Reading – Smith Theatre. Ms. Chin will read from and discuss her poetry, including her most recent work, Hard Love Province, as well as from earlier works. Tickets are $20 each (seniors $15 and students $10). Click here for tickets to the Nightbird Reading. Hard Love Province won the 2015 Anisfield-Wolf National Prize for Literature that confronts racism and examines diversity. Former winners of this prize include Martin Luther King, Jr. and Malcolm X, Toni Morrison and Maxine Hong Kingston, Gwendolyn Brooks and Oprah Winfrey. Saturday, June 16, 2018 – 12 p.m. – 4 p.m.
Stop by and say hello at what we are calling our “Writers’ Perch” booth at this year’s Lakefest. We’ll be there with literary activities, information about HoCoPoLitSo and other local lit orgs, and a few writers sharing advice and insights on writing.